If you want a VPN server and you don’t want to invest a lot of money into a dedicated hardware – you can use your router! As long as it supports Tomato firmware, you don’t need anything else. If you don’t have a Tomato firmware yet, you can get it here: Tomato firmware download. Just keep in mind, that you need to install the VPN version. Once you install it (for install instruction click here), you are ready to set up your Tomato OpenVPN server. If you didn’t change anything after Tomato install, you’re probably using a standard: 192.168.1.1 subnet. Well just change it. It’s really common and if you set up a VPN with this, you’ll end up having conflicts with other subnets with same IP addresses. 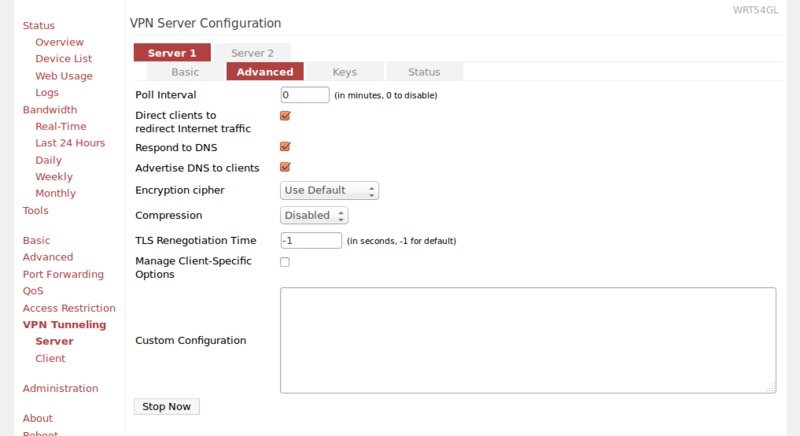 Go to Basic > Network tab and change settings in LAN section. That way you won’t have any conflicts and you will be able to use your VPN network together with your standard internet connection. I found this part to be the hardest. Mostly because I didn’t want to read the whole README and all the instructions. Also all the tutorials were outdated. I had to figure it all by myself ;) but you’ll see in a second that it’s not hard at all (once you know what to do). Go to https://github.com/OpenVPN/easy-rsa and just download the zip file with the source code (the message itself means that you don’t have a github account set up in a proper way). Unzip it somewhere and follow the rest of instructions. You may need to uncomment those options as well. Now you have ca.crt and ca.key files. You should store ca.key somewhere safe – it must remain private. On the other hand – you will use ca.crt for both: your VPN server (Tomato) and your VPN clients. If your server doesn’t start, you can check what’s going on by going to: Status > Logs page and selecting View Last 100 Lines option. There you should see details about your VPN server. It should help you out fixing your issue. Note: Your client.crt will be located in easy-rsa/easyrsa3/pki/issued/ directory. 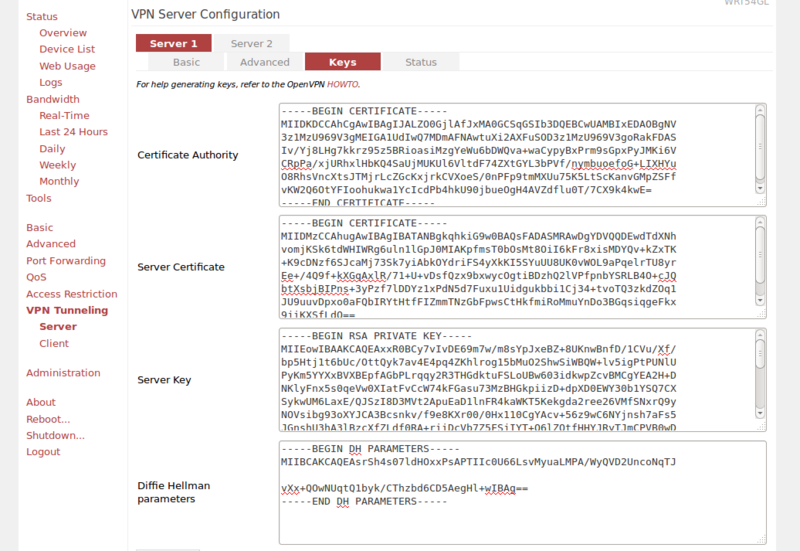 Once you’ve generated key and certificate you should give them (and ca.cert) to anyone that you want to share your VPN with. Keep in mind, that each client requires a separate certificate and key.